If like most smartphone users your headphone cable becomes damaged at the 3.5mm connection end, requiring you to purchase a new set of headphones on a regular basis. You may be interested in a new device designed to help protect your headphone cable from damage whilst in use. 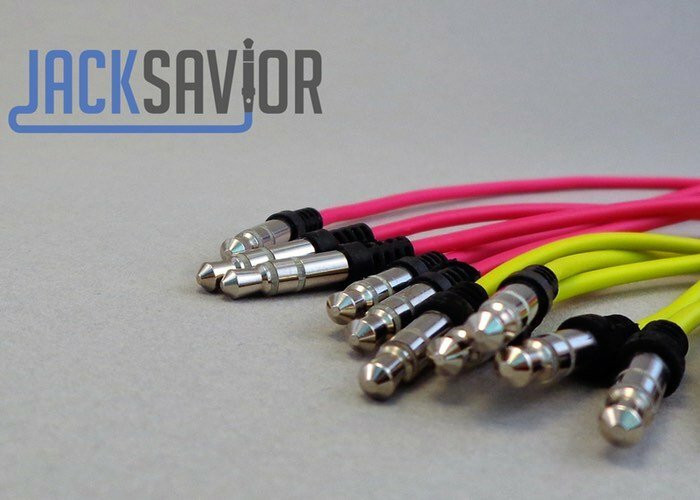 JackSavior has been created to provide a smaller, flexible and stronger audio jack extension, which protects your headphones from damage whilst in use. Check out the promotional video below to learn more about how the small extension to your headphone cable can help protect your headphones for future use. Its developers explain more about the inspiration and development of the JackSavior which has taken to Kickstarter to raise the €2,000 it requires to go into production. The design of audio jacks found in modern headphones dates back to 1876. It is by no means a bad design, but at JackSavior, we feel that an update is long overdue. Audio jacks break frequent between the wires and the plug. By connecting the wires inside the plug, we make smaller, flexible and stronger audio jacks. This prevents any external forces from touching the connection, preventing jack, plug, and ultimately, headphone failure. Big headphone brands can also benefit from the JackSavior audio jack: It is cheaper to manufacture and easier to automate. However, these brands do not want to listen. Apparently, no manager is interested in preventing failure problems for their customers. Therefore, we need YOU to help show that we demand a smaller, flexible and stronger audio jack! The First – Premium stereo earbuds. Photo below is from original product, our product will include the JackSavior audio jack. The Master – Premium headphones with detachable JackSavior connector cable. Connector – 1.5m. (60in.) male-male connection cable with two JackSavior plugs. Adapter – 10cm. (4in.) female-male adapter for everyone who already has a premium headphone. For more information on the new JackSavior jump over to the Kickstarter website for details by following the link below.